Posted February 14, 2018 by Avery & Meadows & filed under Oral Health, Periodontal Disease, Preventive Dentistry. 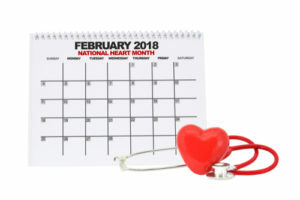 February is nationally recognized as Heart Health Month. Every year the American Heart Association and medical professionals across the country join together to publicize the seriousness of heart disease and educate the population on how to reduce your risk. At our dental office in Memphis, we want to help do our part and bring awareness to how your oral health is directly linked to your heart health. Since gum disease can develop quickly, it’s important to be aware of the most common signs so that you can get it treated immediately. Early intervention is the key to a easier and more successful treatment. If you notice any of the signs below, contact your Memphis dentist as soon as possible. Prevention of gum disease is one way you can help reduce your risk of heart disease. Make sure you brush your teeth, floss every day, and maintain visits to our Memphis dental office at least twice a year. These bi-annual appointments help remove buildup on teeth that, if left alone, could develop into gum disease or other oral health problems.